Homeschool Moms have so much wisdom to share! I've got free e-books to inspire you on your journey and I'd love you to come and share your story. Hearing other people's homeschooling stories is a fantastic way for us all to share the difficulties and delights and ultimately reaffirm the reasons why we chose homeschooling in the first place. 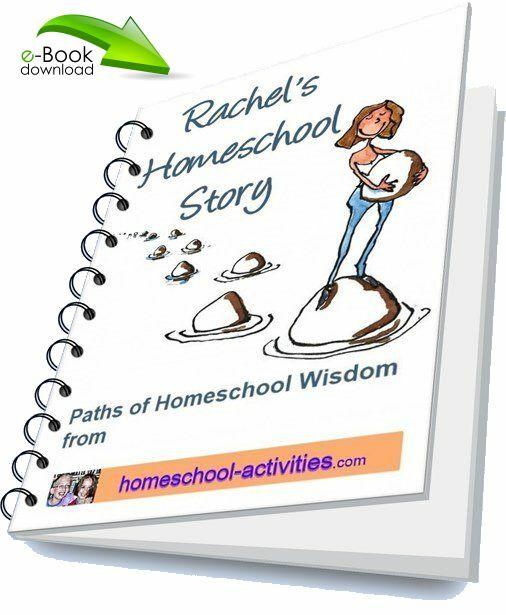 Download your free copy of Rachel's homeschooling story here. Share Your Wisdom: What's Homeschooling Really Like? Share your experience of what it's like being a homeschooling family. What do you think is best about homeschooling? How do you do homeschooling and has anything changed? What are the difficult bits? Have you got any tips for someone starting out? If you have a photo you're happy to share - maybe something your kids have made - that would be great. 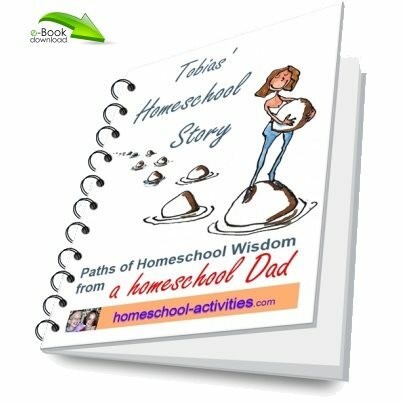 Be sure to browse and comment on other homeschooling stories at the bottom of this page. Share the ups and downs of your homeschooling journey. Give as much detail as you can. What do the kids enjoy most? What about you? Have you run into any problems? What do you all enjoy doing most? Tell us about your experience and help new homeschoolers starting out. Your description will appear on a page the way you enter it here, but I will edit it for spelling and clarity so you'd don't need to worry too much. Please write at least 600 words so I can add it to my Homeschool Moms Wisdom series. Do you have some pictures to add? You can keep the images anonymous, use first names, or whatever you feel happy with. We'd love to see something your kids have made. If you're having trouble uploading a photo, it's probably something simple like the image size. If you e-mail it to me at: sonya (at) homeschool-activities.com I'll do my best to sort it out for you. When you send your story to me, I will publish as many as I can as a printable e-book just like Rachel's. Won't it be fantastic if you can contribute your own homeschool mom wisdom to a library of homeschool lives which we can all dip into when we need some inspiration? What a comfort to find that many of the problems we face are the same but that teaching your child at home is the best decision you ever made. That’s why, as one of the very few second generation homeschooling families taught at home myself, I wrote my Free Guide to Start Homeschooling. Like Rachel's homeschooling story, my guide isn't just for newbies; it's for all of us - because my story will offer you some living proof that homeschooling works. 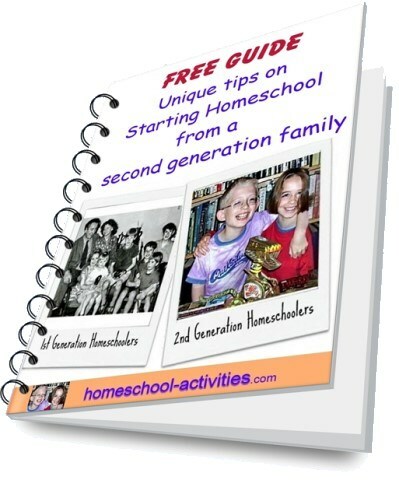 Go to this page to sign up for my free Homeschooling Guide. You'll see that the problems with homeschooling socialization are very much overrated - and wasn't even considered an issue when I was being homeschooled as a child! You'll also see what I think are the main advantages to homeschooling and get some homeschool inspiration. Homeschool Mom wisdom is the best way to make you smile, lighten your spirit and chase away your fears. So please tell us your story and take heart from Rachel. Visit this page to hear how Sylvia's daughter struggled desperately in public school until she was taught at home. You'll be delighted to see that we've had some great submissions. You’ll notice my series is called Homeschool Mom Wisdom - which is why I am so pleased that Tobias has come forward as a Homeschool Dad to offer some much needed balance! that many of the problems we face are the same - but some are different. Understanding those differences makes it easier for us to support each other. 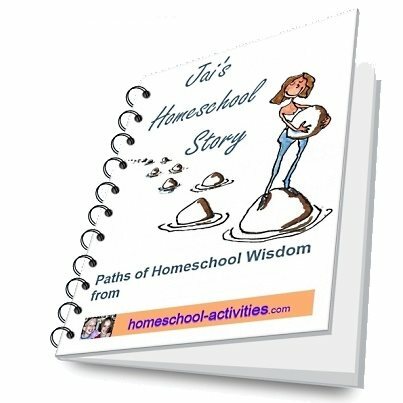 And you can download Jai's homeschool story here. Find out why she believes that a tidy house can wait until she's finished homeschooling! 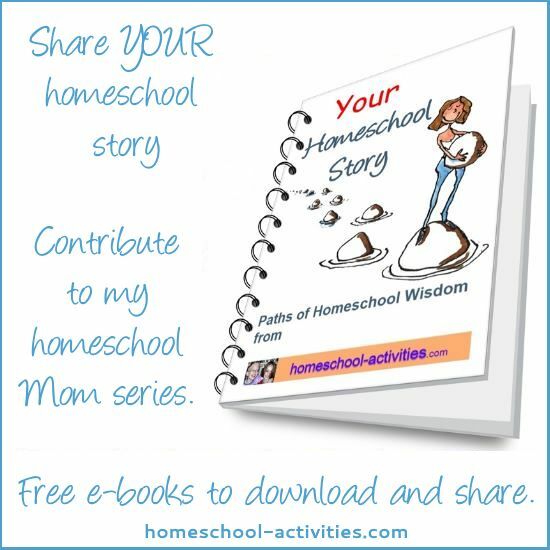 I hope that reading these homeschooling stories has inspired you to share your wisdom. And I know that reading Rachel, Tobias' and Jai's words will have reassured you that homeschooling is the right choice for you and your children. "That's when I saw a most beautiful smile from my daughter, one I had never seen before. I know she will remember the day we started homeschooling for the rest of her life..."
Read the rest of this true story here. If you like this page, do me a favor and SHARE it. 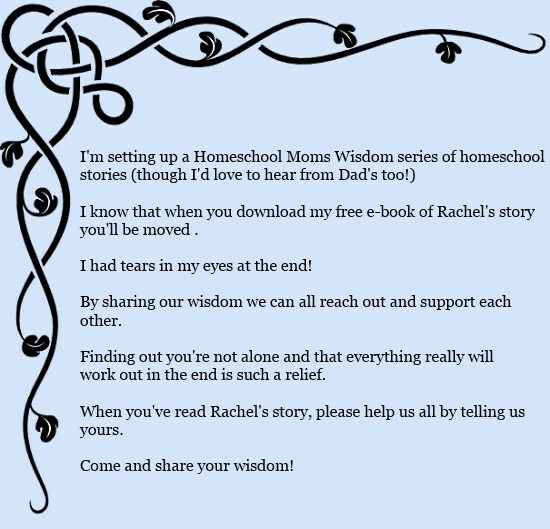 I really want to use our Homeschool Moms Wisdom to help each other by sharing your stories.